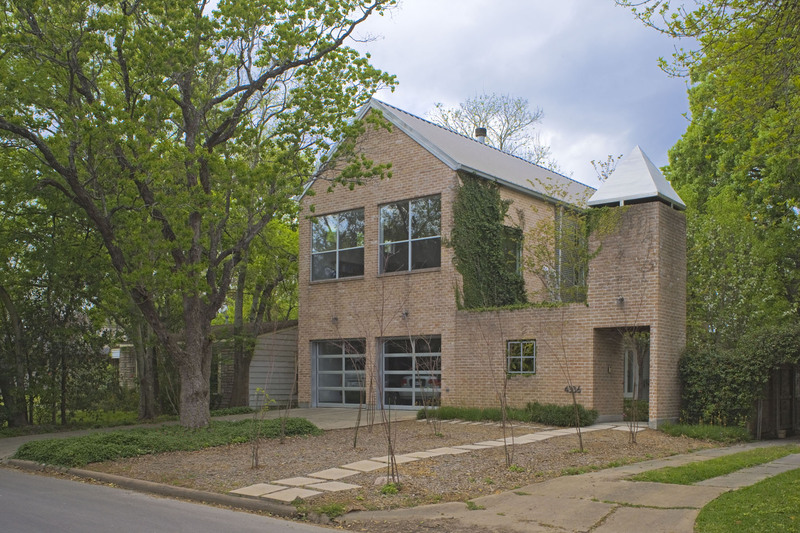 The 26th annual Bellaire Home Tour which benefits the Nature Discovery Center at Russ Pittman Park takes place this Saturday and Sunday, April 5th and 6th, 2008, from 1:00 P.M. to 5:00 P.M.each day. 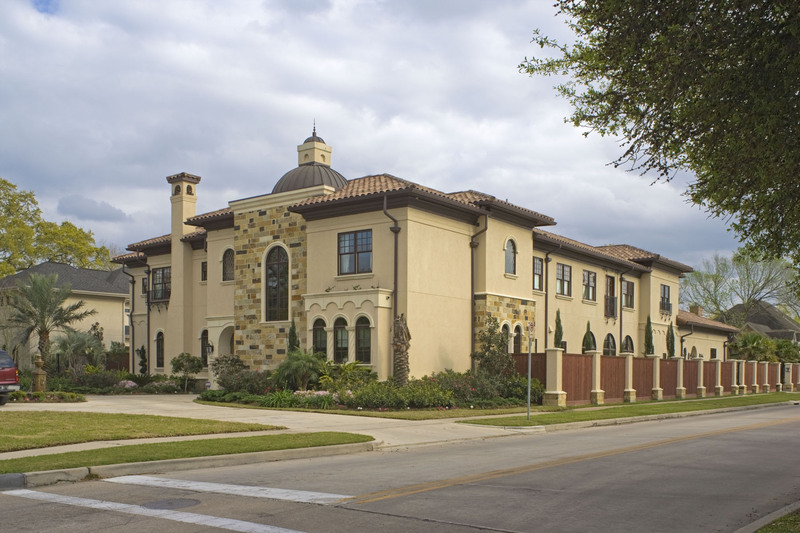 Six Bellaire, Texas homeowners have graciously offered to allow the public to view their homes. 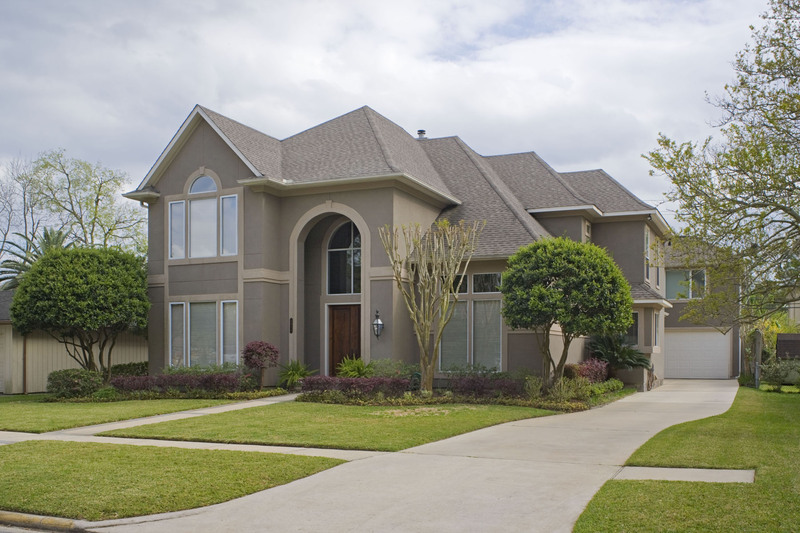 The homes vary from older construction to newer construction . . . traditional to contemporary architecture. Tourists will enjoy the uniqueness of each home. $12.00 in advance– picked up at Nature Discovery Center, Magpies, Teas Nursery amd Whole Foods. 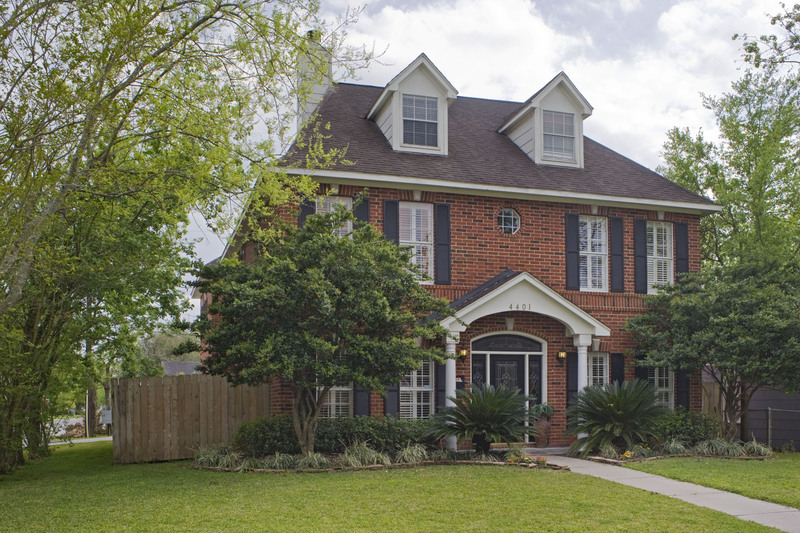 This charming, roomy and traditional two story stucco home was built in 1995. Homeowners, Bert and Karen Durel, designed their own home. Features in this home include a wrought iron staircase and slate floors that extend to the sparkling pool area in the large back yard. Acting as their own architects, Charlie Yoa and his wife Shelby Song designed their own Mediterranean style home. The builder was Jeffrey Harrington Homes. This unique home has an extra layer of engineering in each room. You’ll enjoy viewing the two-and-a-half story turret, the grand entryway, three living areas and two kitchens (one is for caterers). 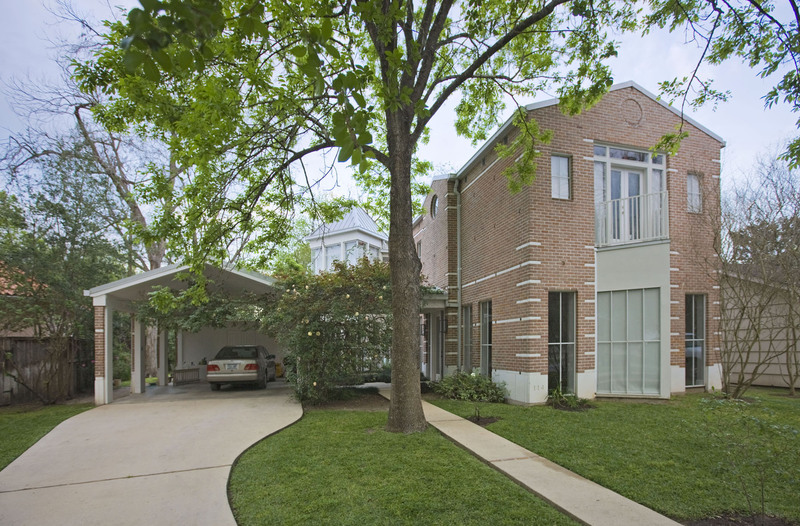 A Master Feng Shui consultant recommended the 56 arches inside this lovely Bellaire home. Offered for viewing by home owners and architect Kelly Larkin and Bubba Beasley . . . and built by Richard Price Custom Homes in 2005, this magnificent Mediterranean style mansion is “fully loaded”. The four bedroom six bath home offers computer automated lighting, a security HVAC system and a whole home audio. Among many other features you will discover distinctive inlaid wood floors and tile walls. 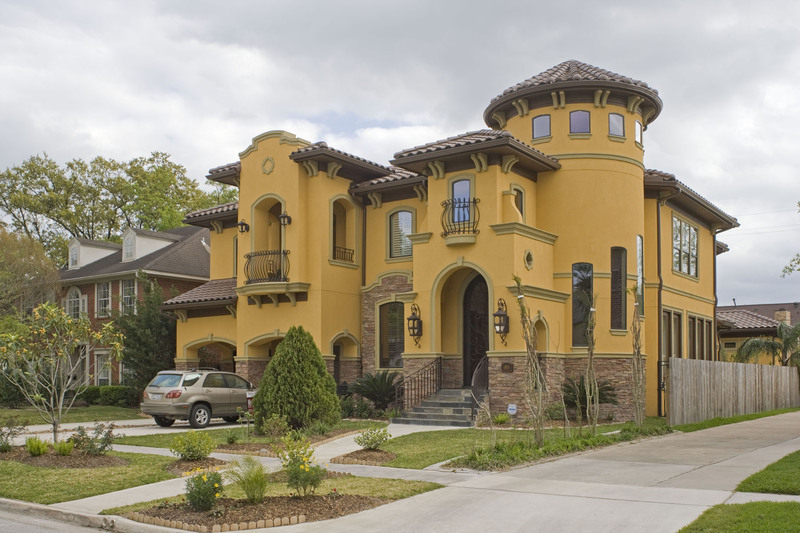 This stucco and stone home is topped by a dome, towering chimney stack and Spanish style tile roof. A relaxing pool and summer kitchen are found in the back yard. Designed by owner/architect John W. Gabriel, this modern contemporary three bedroom, two bath home was constructed in 1993. It’s privately “tucked away” on one of Bellaire’s cul-de-sac streets. The open design was inspired by neoclassical architecture. You’ll especially enjoy viewing the kitchen in this home that was built for comfortable living. One of the surprise features of this home is that it backs up to the Nature Discovery Center and Russ Pitman Park. Mike and Mary Beth Destefano are excited to have you tour their two-and-a-half story traditional red brick, classic colonial family home which was built by V.J. Vallone of Teal Creek Homes in 1992. Situated on one of the smaller Bellaire corner lots, this 4152 square foot four bedroom home offers formals divided by a dual sided fireplace, open family room, large game room and two additional rooms on the third floor. Oak and walnut floors reflect the gold tones of the walls. Take note of the octagonal areas found in this home cherished by it’s family. Architect Victor Perez designed and built his modern contemporary home for his wife Karen and their two children in 1999. Interesting features of this home include the fact that the home itself was built on the left hand half of the lot, the court yard is on the right half of the lot, the garage doors are glass, the sleeping quarters are downstairs, the open living area is upstairs . . . and many more that you’ll just have to see during the tour. The children especially enjoy the playground across the street in Lafayette Park. The Nature Discovery Center appreciates your participation in this event. The proceeds will greatly benefit the center and its various programs offered to the public.